This week I am still working at quilting my Wish Upon a Star for Spring quilt. Once I got the first quarter section finished on the bottom left, it was much easier to keep going. I am basically going to do the same thing in each quadrant! This quilt will be gifted to my daughter who just had her 15th birthday. I am quilting 4 hearts in each quadrant which gives her "one to grow on";) You might be able to see my attempt at writing in the quilting. The biggest heart has the word *sleep* quilted in it. I've got the top two quadrants to go then I plan to do some simple scallops around the outside. The quilting is taking me longer than planned and I can only do so much at a time. I gave myself a scare today quilting this quadrant and ending up all bloated and sore. Almost three weeks ago (maybe a few days more) I had a medical emergency and stayed in hospital overnight. Blood transfusions, the whole bit. I am okay, but still healing. Miraculously. 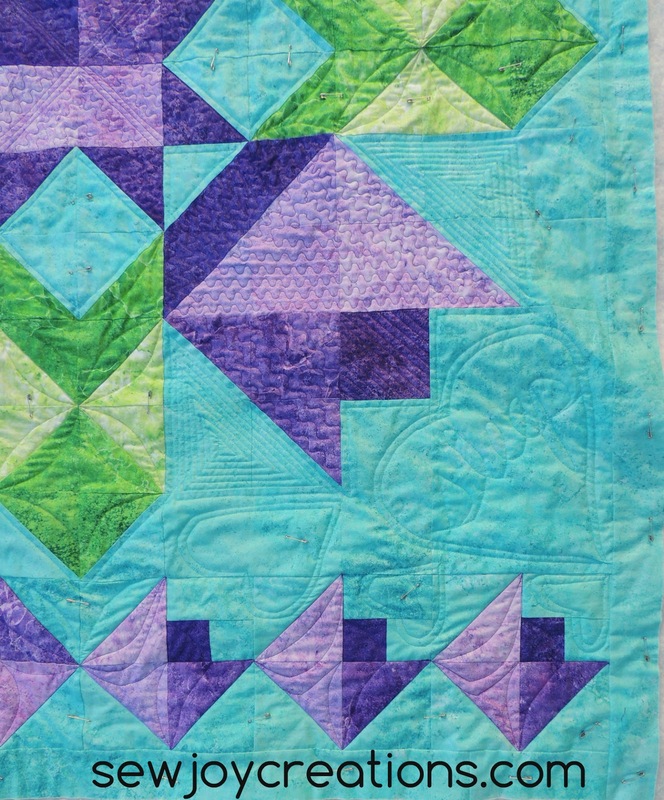 Don't let anyone tell you that quilting isn't physically demanding! Learning to listen to my body - and heed it's warnings! - is the memory that I'm stitching into this quilt. 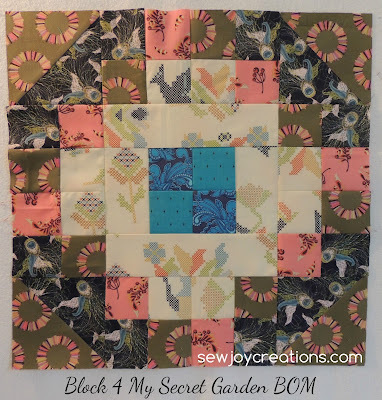 I definitely wouldn't be able to do what I am doing as far as quilting goes without the amazing PFAFF machine that I've been fortunate to review. It has really helped me keep creating and feeling like myself through this time. 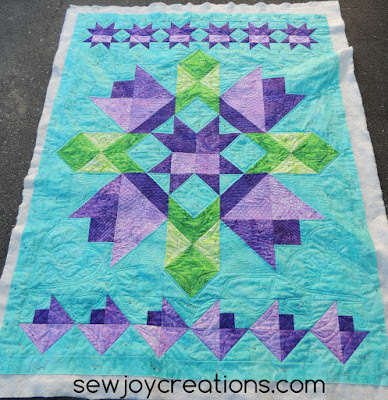 The FUN thing about this quilt is that Connie featured it this week in her Linky Tuesday Party! So neat:) Be sure to check out the links there this week too! 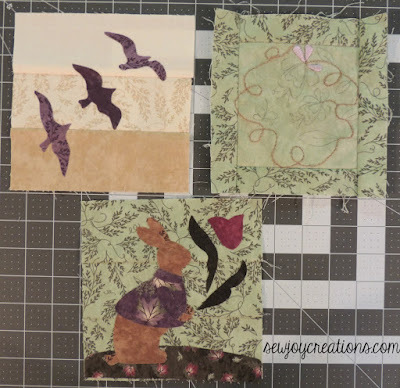 I spent some time quilting on Mother's Day and did the fusible applique on two of the Splendid Sampler blocks that I am behind on. The stitching one I took with me to medical appointments - was it ever nice to have something to do while waiting (and waiting!) Now it's ready to take outside and finish in the sunshine! I am not the only quilter in Canada who has felt the urge to help out the people of Fort McMurray Alberta. 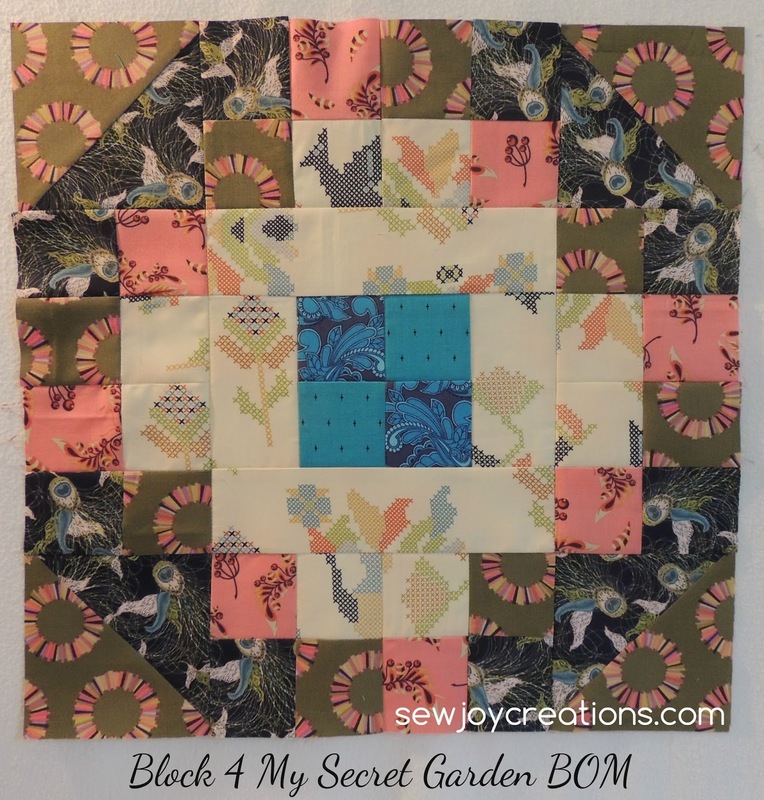 Please visit my tutorial post for more info on where to donate blocks and quilts if you are so inclined. I am glad you are feeling better Sarah and enjoyed featuring your beautiful work last week! I enjoy seeing the quilting your are doing on it and also the blocks you are working on!